The U.S. Supreme Court has put a challenge to Barack Obama’s executive actions on immigration at the top of its agenda, according to SCOTUS Blog . The court announced on on Friday that it will hear oral arguments in the case U.S. v Texas on Monday, April 18th. The court could hand down a ruling as early as June, ruling on multiple aspects of DAPA and expanded DACA. That’s just weeks ahead of Republican and Democratic nominating conventions ahead of the 2016 presidential elections. The case has become a focal point for both immigrant rights and anti-immigration advocates. The case challenges the authority of the president to issue temporary work permits and deportation relief to as many as 5 million immigrants in the country illegally. DACA provides deferred action for certain immigrants who became present in the U.S. illegally as minors. DAPA does the same, but for certain immigrant parents of children with citizenship or strong ties to the U.S. The White House argues that the policy is part of prosecutorial discretion, freeing up its resources to that it can focus on deporting criminals. Opponents say that it amounts to amnesty for immigrants who broke the law, as well as a sidestepping of the legislative process. Texas represents a coalition of 23 mostly Republican-led states who oppose the administration. National Republican leaders and conservative groups support the lawsuit. Democratic leaders oppose the lower court rulings, which have found Obama’s executive actions to be an overreach. Democratic-led states such as California oppose the freeze as well, and have been passing increasingly pro-immigrant laws. The president announced his policies in Nov. 20th, 2014, but only a scaled-down version of DACA has ever been implemented. 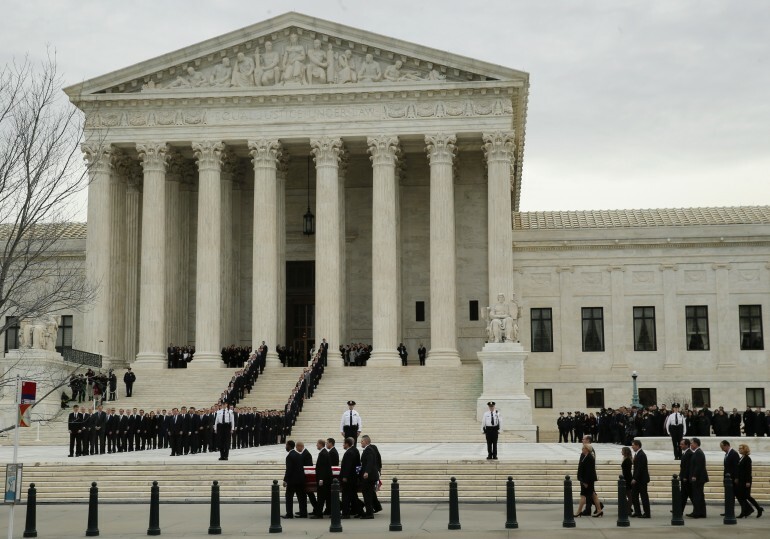 The Supreme Court is short one justice after the sudden death of Antonin Scalia. In the case of a 4-4 tie, the lower court ruling would be affirmed, but the case could be reheard in the future.